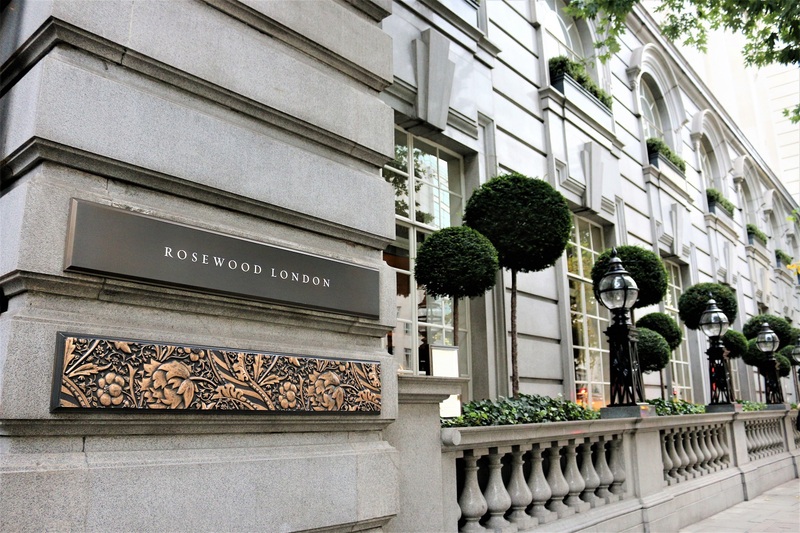 The Rosewood has an air of luxury and true class from the moment you set eyes on it. 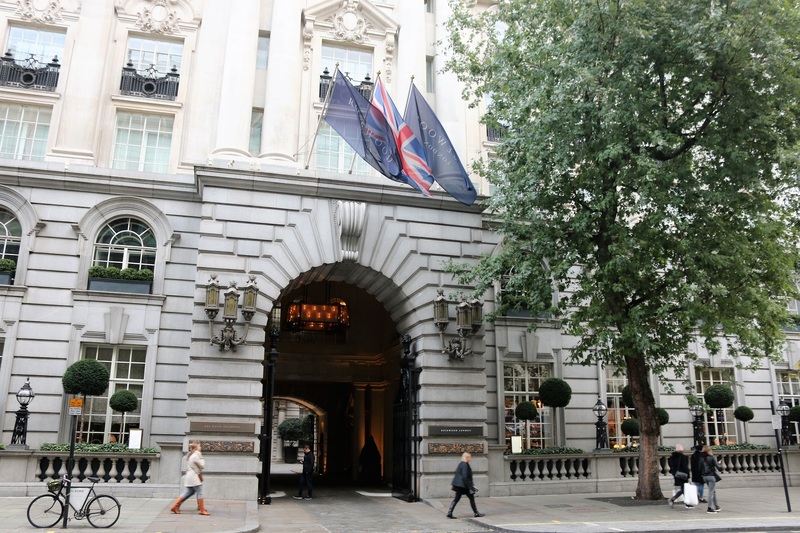 The beautiful tree lined entrance is unexpected in the midst of the city of London. It sets it apart from London’s five star hotels. 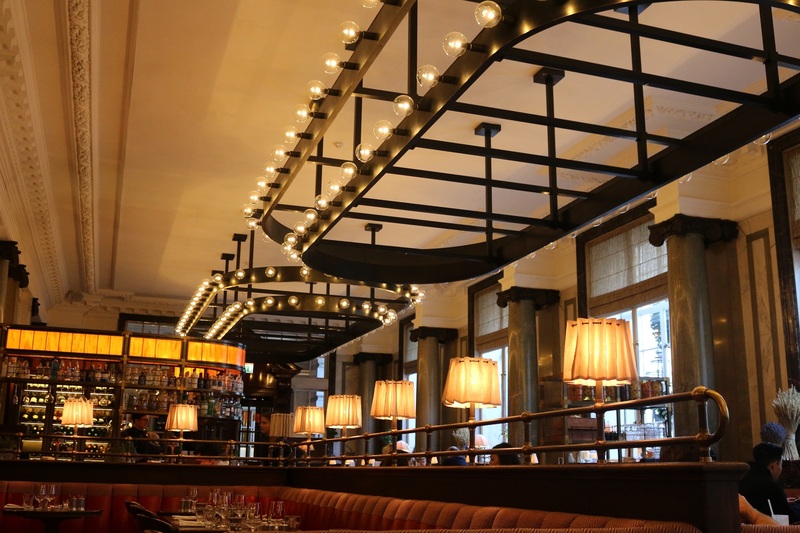 The Holborn Dining Room has an art deco style to it, interspersed with oak and red leather and copper fixtures. The restaurant is spacious and bustling and rather sophisticated. Sunday lunch is a lovely time to visit with the family, for a celebratory roast. 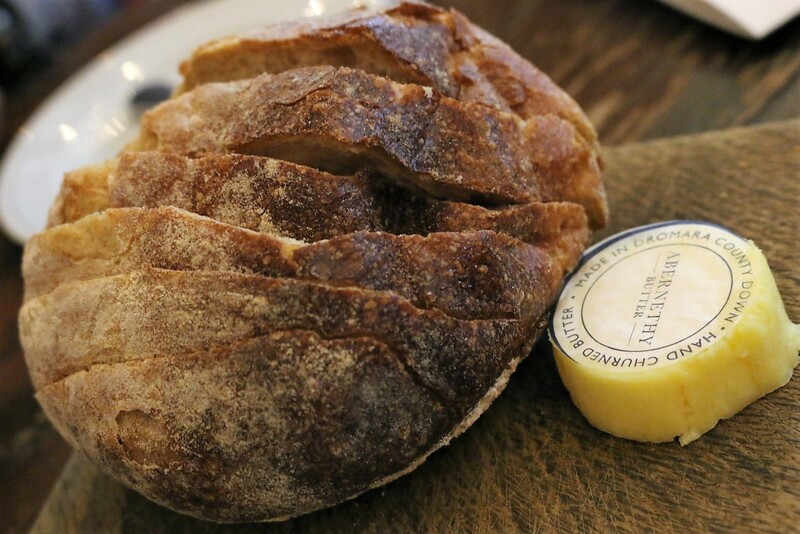 The amazing rustic, warm homemade bread with creamy hand churned butter set expectations high. The main courses were just perfect. There’s nothing quite like a hearty, good Sunday roast. 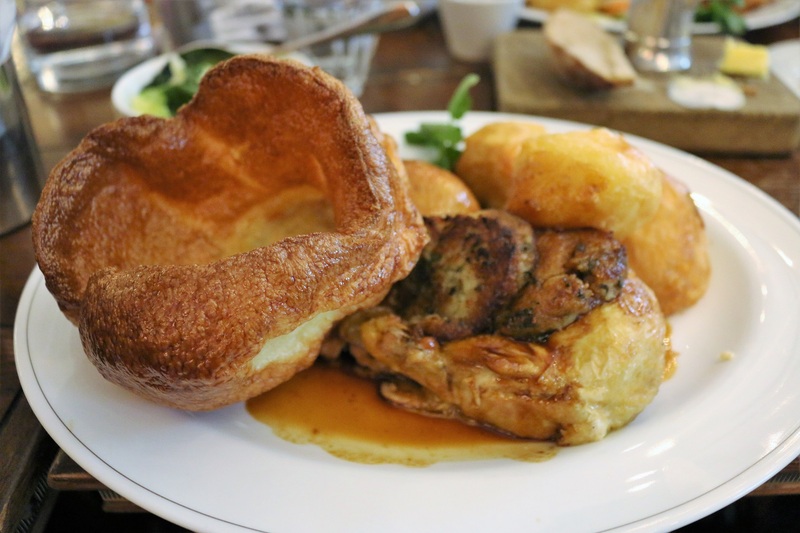 The chicken was succulent and topped with a giant Yorkshire pudding. 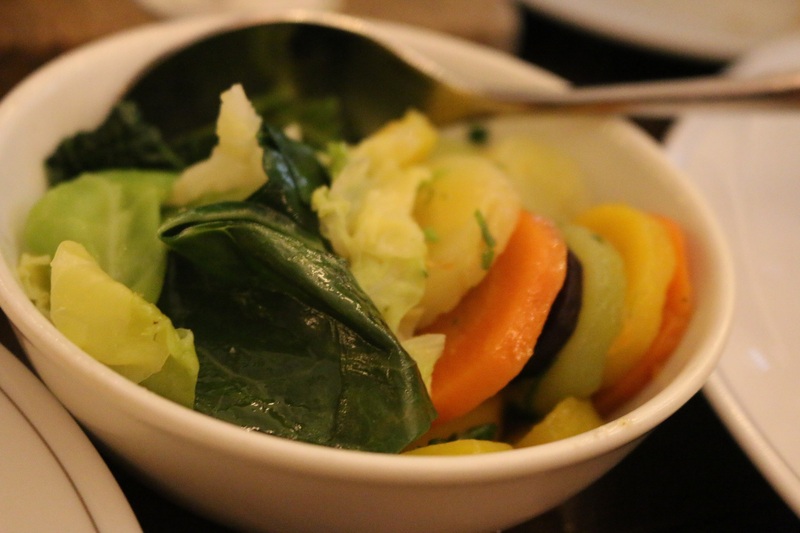 The roasted potatoes were accompanied by an assortment of multi-coloured carrots and locally sourced seasonal vegetables. Who knew you carrots came in so many colours of yellow, green and purple? 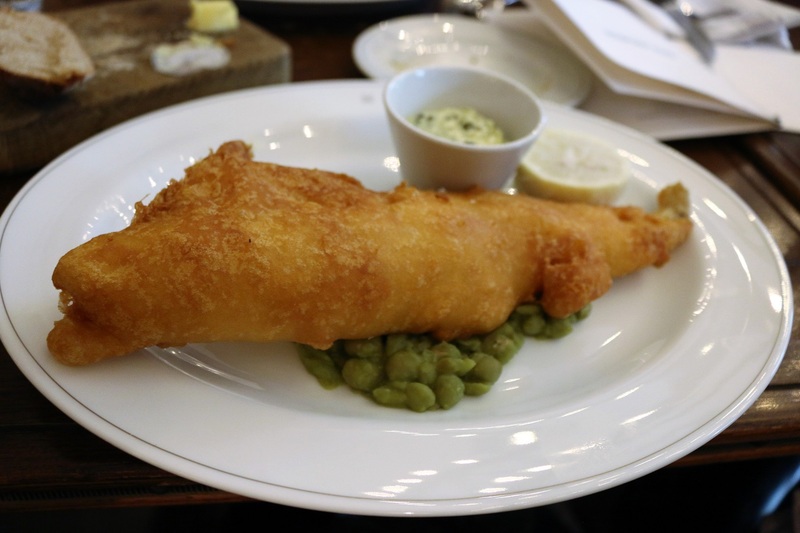 The fish and chips with mushy peas are enough to give you food envy. The crisp batter encasing the flaky fish was pretty perfect. 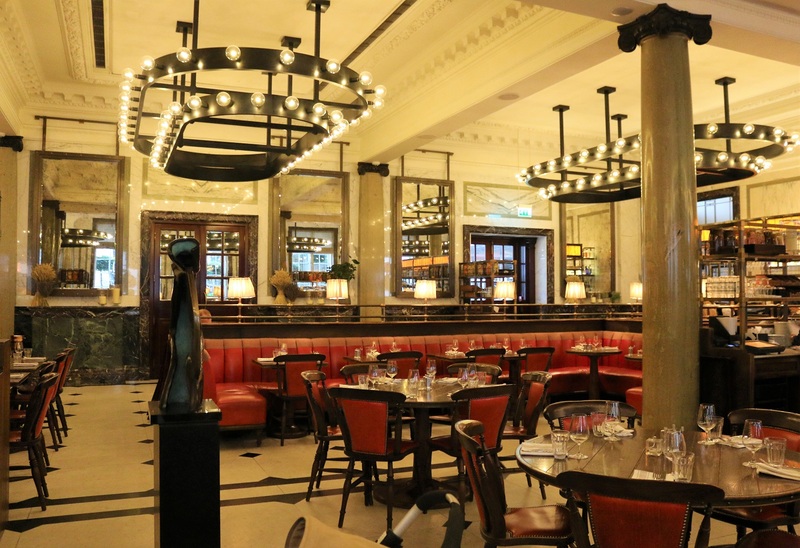 The Gin Bar at Holborn Dining Room has London’s largest collection of over 400 Gin. 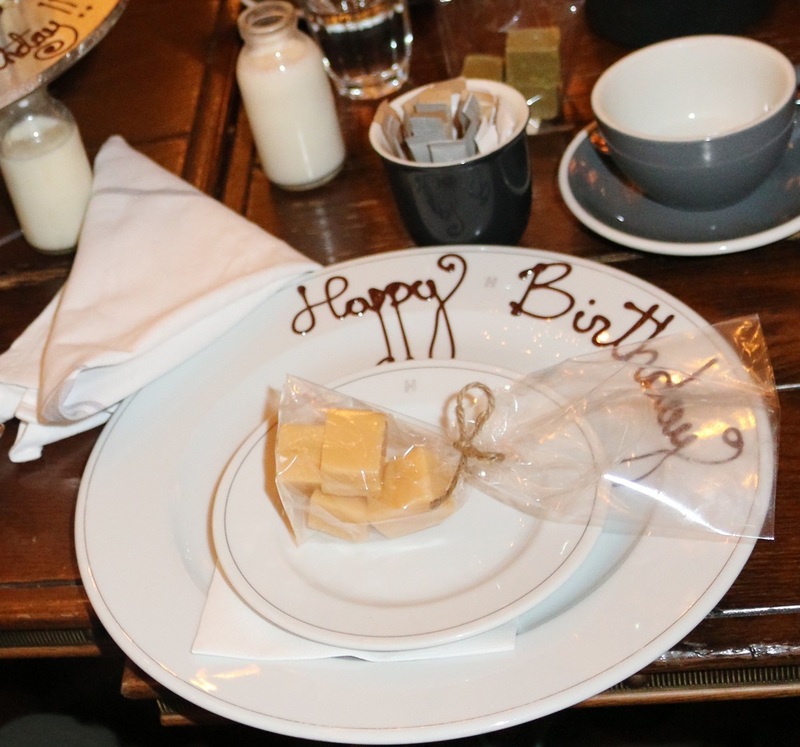 Celebrating a birthday at the Holborn Dining Room is memorable. They marked the birthday celebration with a home made creamy, fudge which was a lovely surprise. 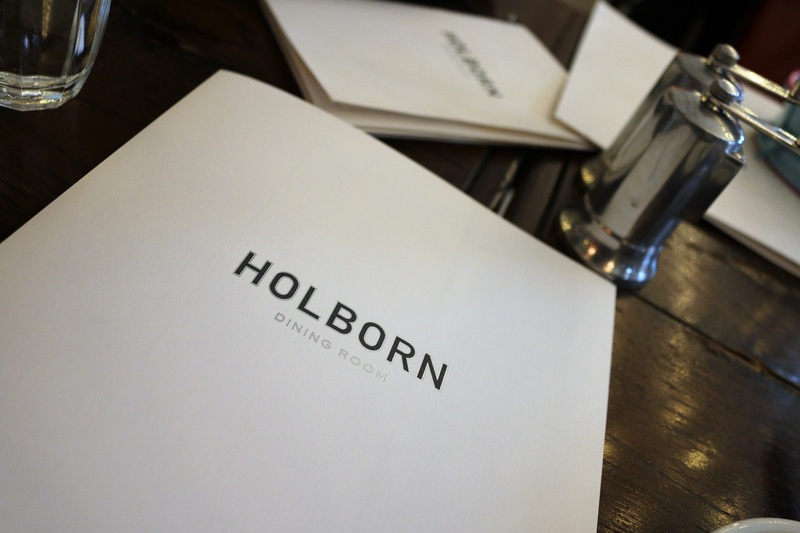 The Holborn Dining Room is an unpretentious, grand brasserie serving sumptuous, seasonal, locally sourced British cuisine. It’s ideal for any celebration and we can’t wait to go back. Ooh I love a good roast dinner, that looks so tasty! Plus an amazing selections of gin too – yes please!! Nothing beats a good hearty roast especially! It really is the perfect combination! Definitely worth a visit! Nothing beats a great roast. Add a bit of gin-and it’s the perfect combination!